Wendy spends very little time on advertising. A dedicated horsewoman, she is always working with horses and there is little time and very little resources to advertise and bring in clients. Wendy believes that when riders begin to ask the right questions after struggling with years of ideas and advice that isn't working, they will do a more detailed research for knowledge and eventually find her. Whether you are a beginner, intermediate, or advanced rider, it is very important to Wendy that each person leaves her clinics feeling happy and confident in the goals they have set for themselves. She has been blessed with all positive feedback and continues to offer her expertise and knowledge to help others. If you are truly determined in your desire to learn, Wendy will be right there with you encouraging you. She is very aware of the horse and the rider, and her observations offer unique and powerful insights that most people have never considered or realized, but it all makes sense and it is truly amazing how quickly the relationship between horse and rider changes and takes on a much higher skills level. "I just wanted to let you know how much I really appreciated the opportunity to spend the weekend at your stable. I really learned a lot of valuable tools. I took my horse for a 3 mile ride yesterday and I was able to do well with all that you have shown me. 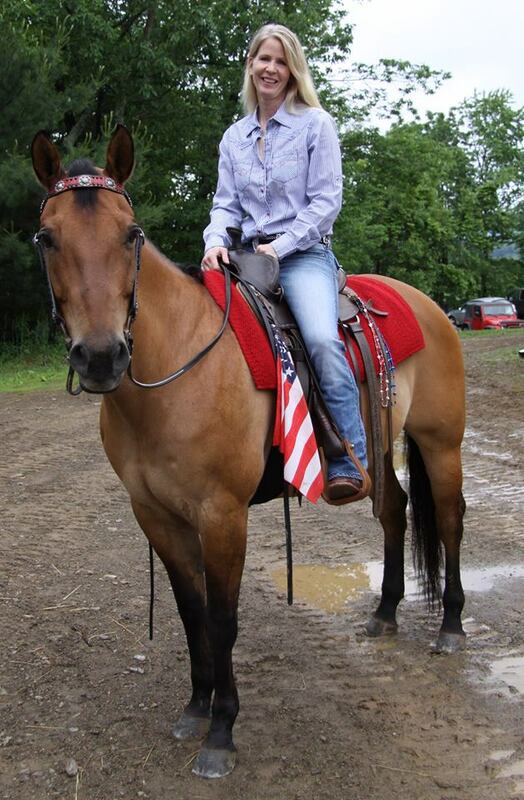 My mom was so happy that I can ride my horse again...Sarah"
Free lodging available for out of state riders. Bed, Bath, and shower facilities. .....through exercises that tune your horse into your agenda, to stop taking over in fear or anticipation, and to rate back to you with a calm certainty that you will have the answers and act accordingly. You will learn how to ask for more, accept less, and the ultimately receive much more.